These five disciplines can help leaders guide a group Bible study with confidence. 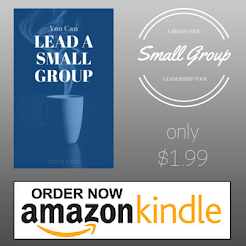 Small group leaders often fear scripture study. Some of this fear is legitimate, coming from a desire to be faithful to the biblical text. Many ministers experience the same feeling when they are preparing to preach on Sunday mornings. But some of the fear need not be present. People in the church are often intimidated by pastors and other "experts" who seem to know all the answers and who appear well trained. But we don't need to compare ourselves with others. God can use our attempts to do good work just as well as those of a charismatic speaker. Here are five disciplines that contribute to good study. If these five are present, and if the small group has the goal of discipleship, the foundation of leadership and the structure provided by community, then group study can be positive and fulfilling. This study focuses on how the benefits of the cross are applied to our lives. This is truly a study in how God extended His grace to us through the work of His Son on the cross. I've listed six words which describe some of the benefits of Christ's death. Take time to read the passage for each question, and then for each word, answer the four questions below: How would you define this word? What is an example of this from every day life? The following questions are based on Luke 14:1-11. Your group may not be able to get through all the questions listed, but try to use these ones to tailor your meeting time to the needs of your group. How do you decide whether or not to obey a rule? What makes a rule "unbreakable"?What is the most recent time you have chosen to break a rule? Was it a good or bad decision?What is the difference between "rules" and "traditions"? How do you decide whether or not to obey a tradition?Read Luke 14:1-6.Give an example of a rule or tradition you've observed that doesn't value people.How might a person's value of tradition or rules keep them from leaving the "bubble" of the church? Few things will help your group grow spiritually more than a consistent commitment to reading the Bible. If everyone in your group is regularly spending time in God's Word, the insight and wisdom you share with each other will grow exponentially. A simple way to encourage your group to read the Bible is to direct them to bibleplan.org. This site is designed to help people choose a reading plan and stick to it. Several different plans are available, from reading through the Bible in one or two years, to reading through the Gospels in a month (and several others in between). The nice thing about bibleplan.org is that you can enter your email address and you will be sent daily reminders. This is a very simple way to hold yourself accountable to your daily reading plan! Click here, or just go to bibleplan.org to check it out! When my brother Matt deployed for his first military tour to Iraq, his wife, Laura, found a way to help friends and family prayer for him daily. You might use her idea to support a soldier you know or to pray long-term for others, such as a missions team, a couple during their engagement, or a friend healing from a major surgery. Here's what Laura did. Get the word out. Laura emailed friends and family, inviting them to pray for Matt daily using a prayer guide she would provide. She invited those who wanted to offer additional support to be "point people". These volunteers would be assigned days to spend extra time praying for Matt. They might also choose to write or email him their assigned days. Have several group members share a story of a recent unexpected encounter with someone else. As a group, read John 5:1-14. What are some things Jesus does in this passage than any Christian could do? What are some things He does, that no one else could do? Think about the people in your circles of influence. From what do they need to be healed (physical, spiritual, emotional)? Why might someone who is spiritually unhealthy not want to be healed? Note: Jesus is the healer, and we are not. He not only heals people physically, but he heals people spiritually. We need not lose confidence because someone doesn't want spiritual healing, because it is not our job to accomplish. We can only be faithful to share the truth, and leave it God to bring the healing. Why do you think Jesus waited until his second encounter with this man to tell him, "Sin no more?" This study is part of a "basics" series I'm currently going through with my own LIFEgroup. All these studies consist of more questions than a group will be able to address in one setting. However, if someone takes the time to walk through each question and give significant thought to the answers, they will hopefully come away with a fuller understanding of the basic doctrines being taught. "Sin" is based largely on Genesis 2,3. Many of the questions refer to the story of Adam and Eve which appears in those chapters. From where does sin come? What caused Eve to sin? What caused Adam to sin? Why was the serpent’s suggestion tempting to Eve? What makes sin tempting to us? To what degree are all people sinners? What void in our lives are we trying to fill when we sin? How are pride and/or selfishness connected to our sin? List all of God’s commands in Genesis 2. Are they reasonable? At what point in Genesis 3 do you think Eve sinned? Why? Knowing how to reach out to friends who are facing job loss is difficult. When my husband was unemployed for a year, I learned what was especially encouraging. Ask how they are. Most People who have lost jobs need emotional and spiritual support as much as anything. Periodically ask how they're doing, and take time to listen. However, avoid offering advice unless they request it. Plan budget-friendly activities. When money is beyond tight, eating out, going to a movie, or shopping isn't a probability. Instead, suggest free or low-cost activities. Invite unemployed friends over for a meal, or treat them to a dinner out, if you can. Rent a DVD rather than catching a full-priced movie or hitting the mall. We loved it when friends stopped by on a Saturday evening to play board games with us. When you hear the term "circle of influence", what do you think about? How many "circles of influence" do most people have? What are some of the typical "circles of influence" people have? Do you think people have more influence in certain circles and less influence in others? Can you give an example or examples? How might someone grow relationships within their circle of influence? What steps could someone take to expand their circles of influence? How could God use suffering to expand someone's circles of influence? Give some examples. Read 2 Corinthians 1:3-7. What do you think is the main point of this passage? How could an experience of suffering prepare you to comfort someone else who is suffering? How could am experience of suffering prepare you to share Christ with someone who is suffering? As a young Christian, I marveled at how other believers I prayed with addressed multiple facets of a single request. When they prayed for a sick friend, for instance, they asked God to comfort the person's family and open doors for ministry. I usually stopped at a bare-bones petition for healing because I didn't know what else to pray about. I hadn't learned how to identify related needs God might want me to bring to Him. Now I encourage women I pray with (either individually or in a group) to extend their intercession by helping them convert information into petitions. I don't want to pad prayers with empty words (Mt. 6:7-8) or cross over from concern to gossip, but I've realized God can use details to direct us toward deeper needs an opportunities we can pray for. When someone voices a request, I'll gently invite her to share more by asking one or two of the following questions. Those I pray with may do the same thing with me.